Well known and loved by Fisho’s Australia wide, Environet fishing nets are distributed by Shimano, across Australia. The net is specifically designed in order to maintain a fishes natural slime once caught, making it a favourite for Anglers who observe the catch and release policy. 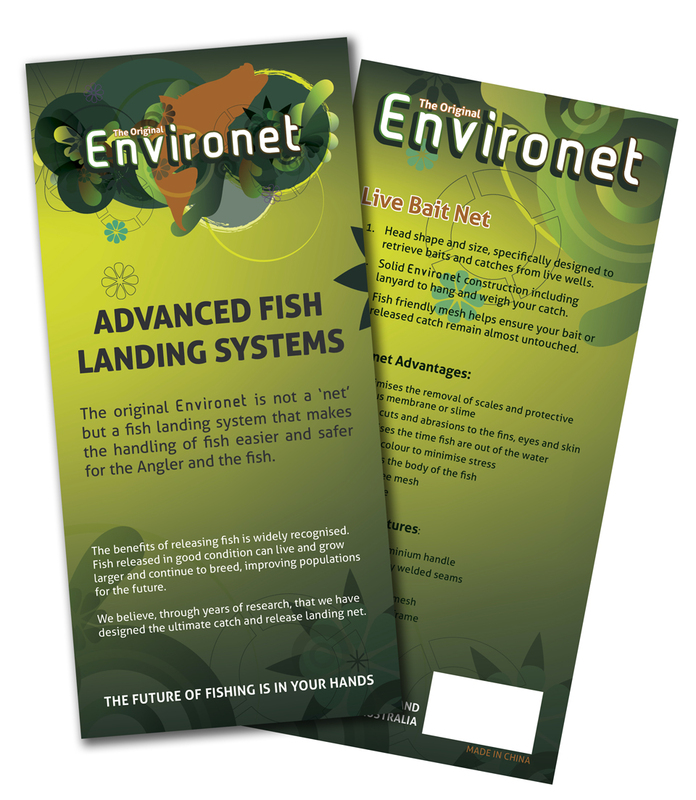 Well regarded especially amongst estuary and Cod fisherman, Environets are often perceived as being eco-friendly as it does less harm to their catch than normal conventional nets. I was initially asked to come up with some new design options for a swingtag, which would be used on all three models of the net. It was soon realised that a new Logo design was also required, and as the brand didn’t fall under the Shimano corporate Identity, I was given some creative freedom. The final logo design and swing tag art was to reflect and emphasise the eco-friendly nature, whilst also standing out amongst the usual sea of blue and bright reds/oranges typically found within a fishing store.